Part of running a household involves meal planning and grocery shopping. 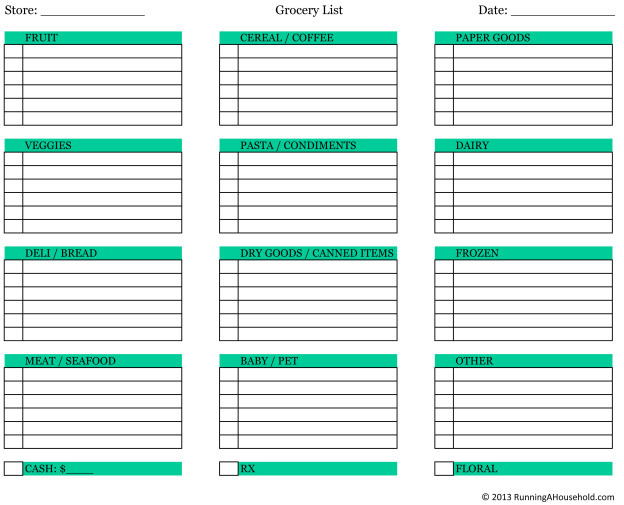 You’ll find that you’re more efficient if you head to the grocery store with a list of items. Our Grocery List is organized by the main departments of the grocery store. By grouping the items together, you’ll be sure pick up the items you need without back-tracking for missed items. 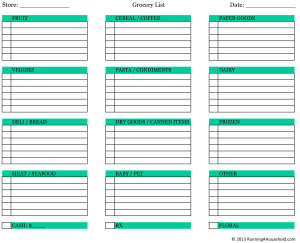 Keep a copy of the Grocery List posted on your fridge. If you run out of an item, just add it to the list. When you sit down to plan your meals for the week, add the items you need to buy. Review the store flyer. Add any sale items you need for this week, or for your pantry. 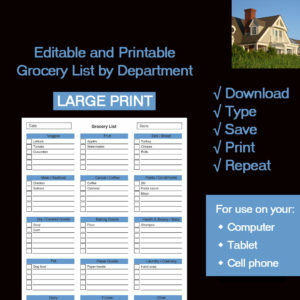 We hope you find the Grocery List by Department helpful. 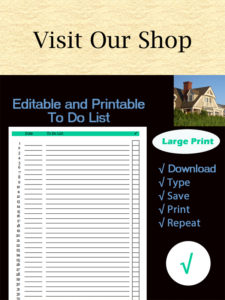 By using the list, you’ll be in and out of the store in no time, without forgetting anything. 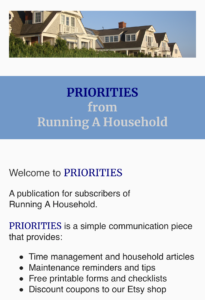 This entry was posted in Meals and tagged Grocery List, Grocery List by Department, Grocery Shopping Easy, Grocery Shopping Efficient, printable grocery list on March 14, 2013 by Running A Household.